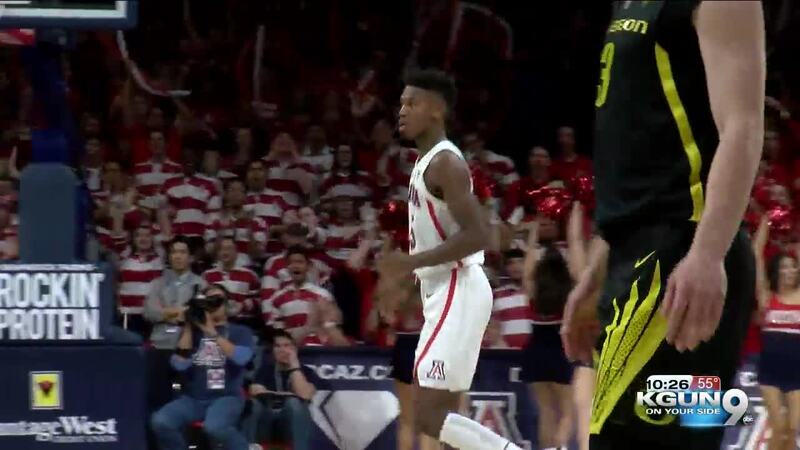 TUCSON, Ariz — Arizona Basketball sophomore Brandon Randolph posted on his instagram that he is entering the NBA draft portal, but is still leaving open the option to rejoin the team next season. "I am taking this process very seriously and look forward to getting feedback to help me make the best decision for my family and me," Randolph wrote. Randolph led the Wildcats with 12.4 points per game last season, but his statistics dropped off considerably during conference play. Randolph is not projected to be drafted. He has until May 29th to withdraw his name and return to Arizona. Playing time will be competitive next year with as the Wildcats have the nation's top incoming draft class.